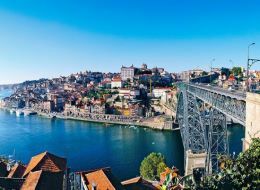 Compare prices from multiple car hire suppliers in Porto to find the best available deal. A few of the car rental companies we compare include Gold Car, Budget, Avis, Hertz, Sixt and many more. The city of Porto, sometimes known as Oporto, is the second largest city throughout Portugal and one of the largest urban areas throughout the Iberian Peninsula. The city boasts a population of 237,559 inhabitants (2011) and is spread out along 41.66 square kilometers of land. Porto is considered a Gamma Level global city according to the Globalization and World Cities Study Group. The city is also a European Culture Capital. Porto is the oldest European Center and is listed as a UNESCO World Heritage Site. Porto is known for their production and export of port wine. Things to see while in Porto include the Ribeira, the Casa de Musica, the Fundacao de Serralves (a contemporary museum), and the Centro Portugues de Fotografia (the Portuguese Photography Museum). Individuals may also want to take a cruise upriver, go on a port wine tour and see the wine caves, or catch an FC Porto game at the Dragao Stadium. Porto is serviced by the Francisco de Sa Carneiro Airport (OPO), informally known as the Porto Airport. It is located approximately 9.6 kilometers from the center of the city.